Edgar Wright has finally decided on his follow-up movie to Baby Driver. And it sounds like he may be going back to his Grindhouse roots. For that Quentin Tarantino and Robert Rodriguez double-feature, he created a faux trailer for a thriller called Don’t. This might be the closets to that fake thriller that we ever get. 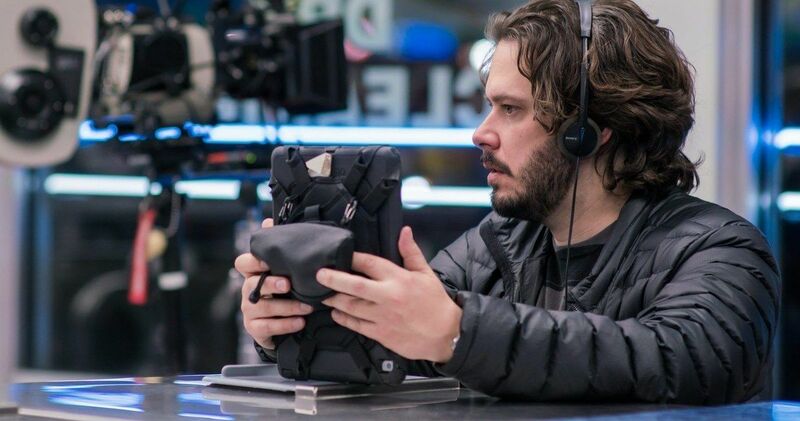 Edgar Wright’s next movie is being described as a Psychological Horror Thriller. No story details are being unveiled just yet. But shooting is set to being this summer. No cast has been announced at this time. Edgar Wright is currently working on a musical biopic documentary that follows the iconic pop-rock duo Sparks. As he continues finishing that up, he’ll move onto this new project. It is described as being in the vein of Don’t Look Now, which served as direct inspiration for his trailer short Don’t. The story at play also owes quite a bit to Roman Polanski’s Repulsion. Though Edgar Wright shot Baby Driver in the states, he will be returning to his London home, where he shot such hits as Shaun of the Dead, Hot Fuzz and World’s End. While there is no actress in place just yet, the movie will focus on a female lead. Wright had this to say about his new thriller. The production start date hasn’t been announced, but it is confirmed to shoot sometime between June and September. Wright co-wrote the screenplay with Krysty Wilson-Cairns, who is perhaps best known for her work on Penny Dreadful. While some fans are surely excited that Edgar Wright has finally settled on his next project as a director, others are disappointed that it’s not Baby Driver 2. The director assures everyone that development on that sequel is still ongoing, and that a first draft does exist. He explained that Baby Driver 2 will take the story further and expand the mythology with new characters and a high body-count. And you can expect more classic tunes to serve as Baby’s own personal driving soundtrack. Baby Driver 2 doesn’t have anything resembling a start date or a release date at this time. While that may be disappointing to some, at least we’re getting two new Edgar Wright movies in the very near future. Though, neither of those projects have a release date either. The Sparks documentary may show up before the end of 2019, or in early 2020. But we definitely won’t be seeing his Psychological Horror Thriller until sometime in late 2020. This latest news comes from Empire.